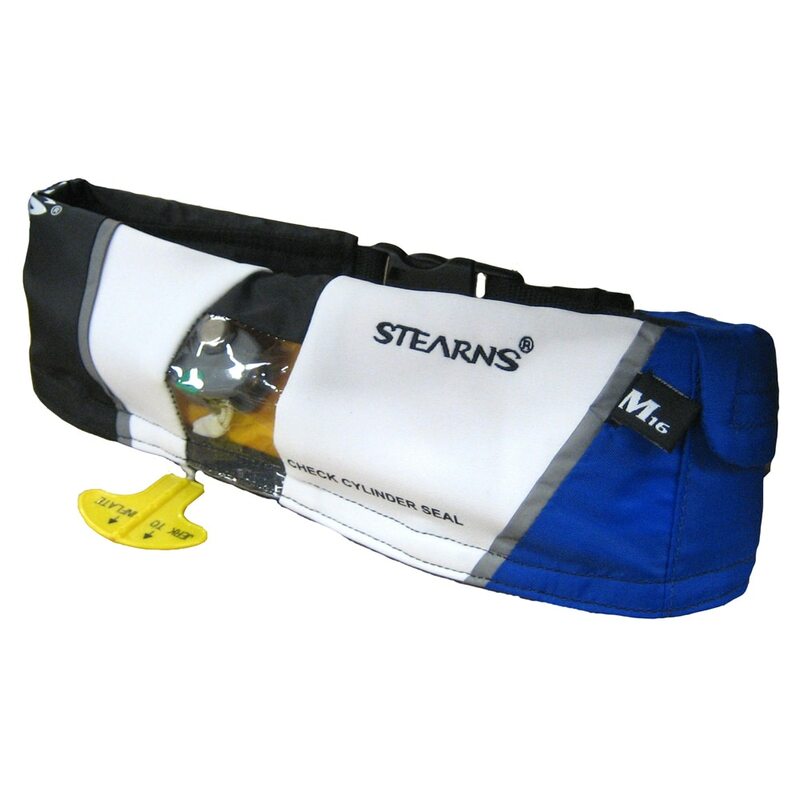 Stearns inflatable lifejackets are lightweight and comfortable, allowing freedom of movement while providing maximum buoyancy. Great for sailing, fishing, paddling, boating, or hunting, this life jacket is stored as a compact belt pack, and manually inflates within seconds to be a complete, adult-sized (30"-52" chest) life jacket providing 15.5 lbs. of buoyancy. 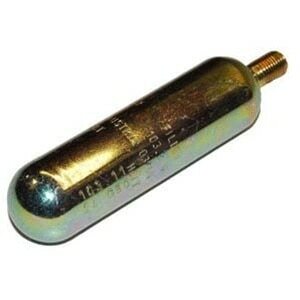 Jacket inflates via the 16-gram CO2 cylinder by pulling the attached lanyard, or by blowing into the inflation tube. This personal flotation device is Coast Guard approved. Uses rearming kit #0925 for repeated use. Inflatable PFDs are not recommended for non-swimmers; not for use for active watersports activities (skiing, tubing, wakeboarding, white water, or PWC).